We supplied the radio tracker and spot tracker for the flight. It also flew our Doongara cutdown board. 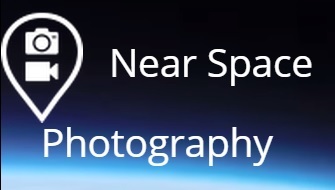 Near Space Photography are now offering 360 degree photography and support on their high altitude balloon flights. We have invested in the Samsung ecosystem of 360 degree camera technology. We hope to test fly it early in 2017 on a high altitude balloon flight. We like this video done for Jon Glaser’s True TV programme, Jon Glaser loves gear. At the end of the flight the payload unfortunately lands in a road. A motorist is captured throwing the payload in a hedge. We are not sure if this was done as an act of kindness or distain. With no experience in Arduino, we found the Arduino IDE software, Doongara’s computer interface, easy to install and use. The current version of the software was compatible with the Windows 7 netbook that we use to interface a range of HAB gadgets we have. Once inside the IDE software, the current settings of the Doongara are displayed and refreshed onscreen once they are changed. The settings on the burn triggers are easily changed . Once the flight is complete then you can use the same terminal to display the logged data. All in all the interface is very user friendly at beginner level. Rigging: With an example of the rigging complete on one of the Doongaras we borrowed, rigging up a fresh one was easy. If we were starting from scratch then following the photographs in the manual would be less easy. Thankfully, Smith and Williamson have posted several ‘how to’ videos on their web site. Test 1: We had the chance to test the timer trigger on the Doongara by pairing up with a science project from Oundle school on 7th December. The school was doing an experiment into the impact of solar radiation on bacteria growth and we were given the chance to locate the Doongara at the interface of the parachute and upper tether. The test was a success, with the balloon being cut away 130 minutes after balloon launch; as programmed. We have no way of knowing how much balloon was cut away and the cut away process had no visible impact on descent speeds. The timer function seems useful for cutting down the balloon after burst or triggering detachment of parts of the payload during a planned ascent. Test 2. Next we wanted to test the pressure activated cut down function. On 12th December we were able to place the Doongara on a HAB flight made by Leicester University students. The Doongara was set to activate at 50mbar pressure. The Doongara log file indicated that the nichrome wire heated at 50mbar as planned. There is a calibration table in the Doongara manual and this was estimated to be at about 20,000m. We crudely mapped the Doongara data to the radio tracker telemetry and estimate that the 50mbar altitude was 20,400m. This is very close to the manual estimate. 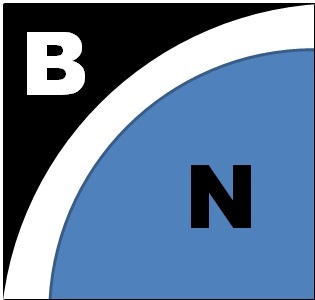 On the whole the pressure trigger is a useful alternative to the timer trigger as long as the calibration of pressure to altitude is as good as the test. We have more testing to do with the Doongara, so this article is to be continued. Attention high altitude balloonists – beware the cows! During 2 high altitude balloon projects this autumn, I’ve been reminded of a little considered hazard to HAB: cows. During work for Phillip Morris and Nationwide I have had payloads land in fields with dairy cows. On both occasions the cows came over to examine the payload. On both occasions the cows were sufficiently interested in the payloads to roll them over, taste them, and urinate on them. The cows lost interest after some time, but not before then payloads were bitten into and licked. In future I will be mindful to factor this into payload design; ensuring that there is nothing to harm and animal that may come into contact with the payloads. This summer we had the pleasure to work with Fermynwoods Contemporary Arts (FCA) in Northamptonshire. Amongst other things, FCA work with young students from the Northampton and Corby area to develop study skills through art, within the setting of Fermynwoods country park. In July 2016 FCA worked with two sets of students to explore space through art. WWW.nearspacephotography.co.uk helped the students launch high altitude balloons with their work on board. The students sculptures were coloured with thermochromatic paints sourced from SFXC.co.uk. Pigments were chosen to change colour between the ambient ground level temperature of around 15 degrees Celsius and minus 10 Degrees Celsius. In both flights colour change was observed within the first 15 minutes of flight as the payload passed through layers of cloud. The use of the pigments added a spectacular effect to the students work and engaged them in the properties of the paint. Video of the colour change in thermochromatic paint during FCAP’s second flight.